We value our members so much that we want to reward them, and so we’re introducing a special offer for our hobby class members. 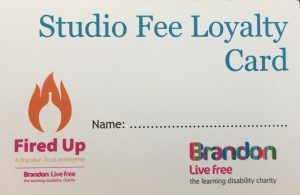 The loyalty card scheme applies to the hobby class payment of studio sessions. 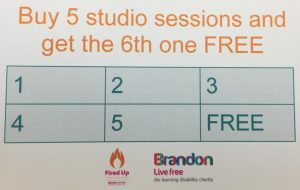 After paying for five sessions the sixth one will be free. Loyalty cards are available from January 2017; make sure you get one so you don’t miss out. 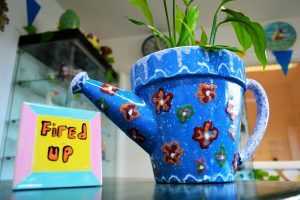 Happy New Year to all our hobby class members and service users.